Thank you to all those in attendance on Wednesday, June 15th at Wine on Third! 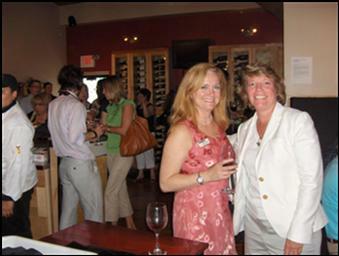 The Niagara USA Chamber networking event was very well attended. The photo to the right features Bernadette Weber, representing Niagara University and Patti Winchester, owner of Winchester Performance Consulting. We hope to see everyone soon at our next networking event!